Go Behind the Podium with Classical Music’s No. 1 Maverick, Jade Simmons! 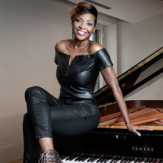 Jade Simmons is a classical concert pianist and powerhouse keynote speaker who impresses audiences worldwide not only with her insightful keynotes, but also with her mesmerizing performances. She recently stopped by Eagles Talent and participated in our Behind the Podium segment, where she spoke about everything from her humble beginnings to her connection with making music and speaking to audiences. When she’s on stage speaking to attendees about leadership, diversity and even more topics, Jade does not simply stand behind a podium. Her program is interactive, engaging and innovative, as she often spends part of the keynote behind a piano, playing for her audience. 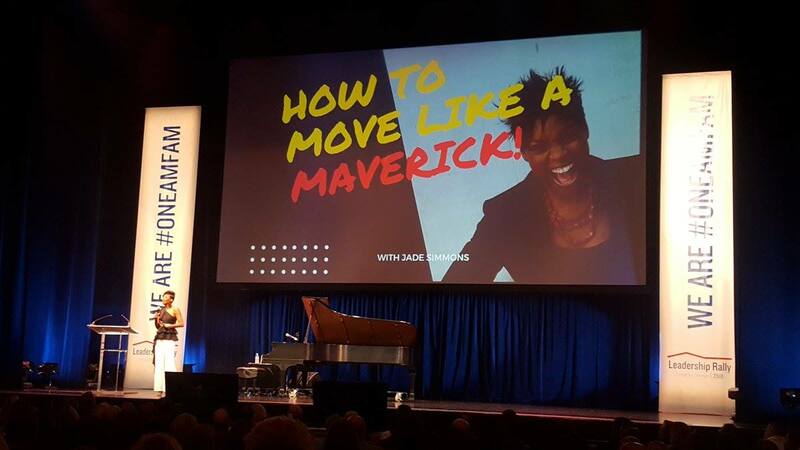 Do I have to provide the piano for Jade’s keynote? Yes, but by working closely with Yamaha, Jade has been able to take the stress of finding a grand piano off the hands of meeting planners everywhere! Jade is a Yamaha artist, which means Yamaha works with local dealers in the area to secure the piano for Jade’s keynote. As a result, meeting planners never have to start from scratch when it comes to finding a grand piano for Jade’s keynote and performance. Scheduling and piano coordination are also taken care of on behalf of Yamaha, which handles everything of this sort once the engagement is booked. Rental fees are waived, but a cartage fee will apply for transporting the piano. Can I book the keynote without the piano portion? Yes. Jade is able to speak without the instrument and provides an equally captivating and engaging keynote presentation. 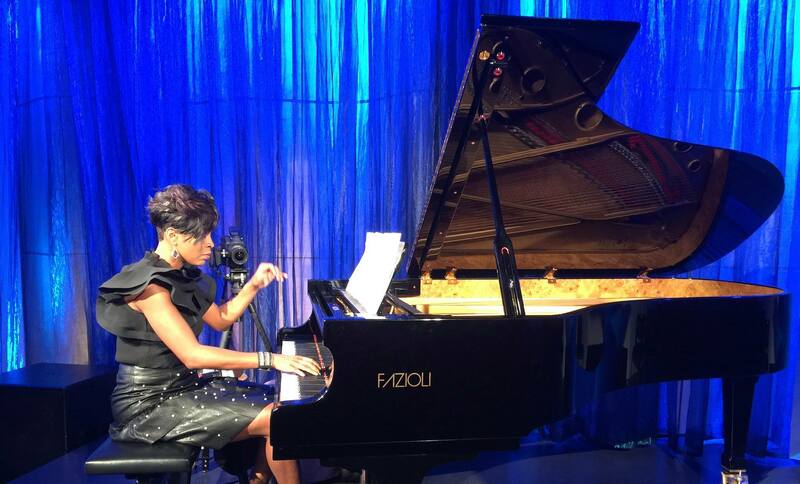 Many companies who book Jade, however, are opting to include the piano portion, specifically for the unique and one-of-a-kind quality it brings to events and conferences. What industries does Jade usually work with? Jade began her career strictly as a concert pianist where she played her piece, took a bow and walked promptly off stage without saying a single word to the audience. This changed, eventually, when she began speaking to young emerging artists about pursuing a career in the arts. Since then, Jade has spoken to a wide range of audiences, including financial service groups, biomedical companies, and the entertainment industry, to name a few. What types of industries can Jade branch out to? One of the most important things Jade does in preparation for her keynotes is immerse herself into the industry of her audience. For Jade, it’s essential that she knows the ins and outs of the industry she is working with, so she can better relate to attendees. She has worked with a variety of industries throughout her speaking career, but some industries Jade hopes to branch out to include entertainment, multi-level marketing, and women empowerment groups. Want to bring Jade Simmons to your next event? Visit eaglestalent.com or call 1.800.345.5607 for more information. This entry was posted in Behind The Podium, Corporate Entertainment, Exclusive Insight Video, Speaker Feature, Speaker Visit and tagged african amercian keynote speakers, african american business speaker, artist, artist keynote speaker, arts, arts and pop culture speaker, behind the podium, best innovative speakers, best inspirational speakers, best inspirational stories, best professional keynote speakers, business keynote speaker, classical concert pianist, corporate entertainment, corporate keynote, Empowering Speakers, empowerment, empowerment speaker, Innovation keynote speaker, inspiration, Inspiration speaker, inspirational, Inspiring motivational speaker, Jade Simmons, motivational, motivational black keynnote speakers, Motivational keynote speaker, motivational keynote speaker feature, piano maverick, TED Conference, women empowerment speakers, women motivational speakers. Bookmark the permalink.